Videos don’t seem to be playing properly on your Blackberry Storm? Have you double-checked whether your video files are corrupted or the file size is too large? Or perhaps the video file format isn’t supported or recognized by your mobile phone? Simply read through the article and ensure that you have the right file format and settings recommended for your Blackberry Storm. You’ll then be able to watch your favorite videos on the mobile phone smoother and sooner than expected. There are two handsets released under the series of Blackberry Storm which comprises of 4 different models. Please check for the list of supported file formats according to the model of Blackberry Storm that you have. The best video settings recommended for any model from the Blackberry Storm Series are as shown below. Settings are for videos stored in the MP4 container. If your video files need to be compressed for playback on your mobile phone or the current file type isn’t supported, the Wondershare UniConverter (originally Wondershare Video Converter Ultimate) works perfectly for you. 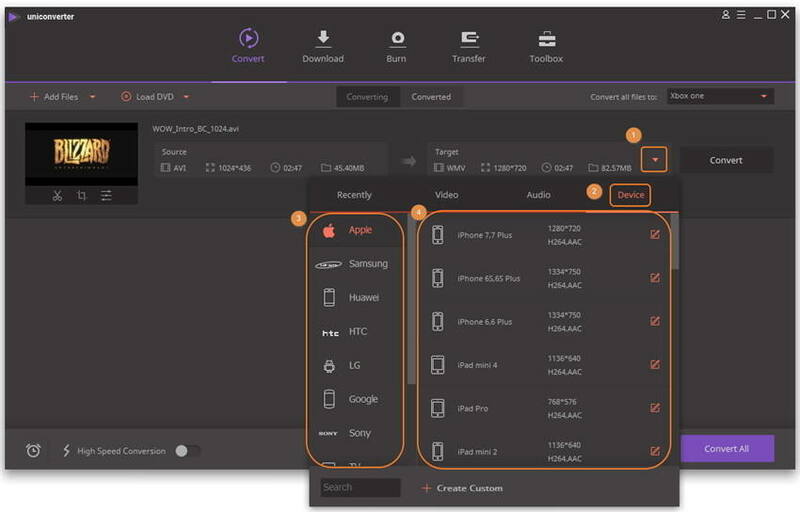 Instead of having to research for the best or recommended file type or settings, you can easily select your brand or model of mobile phone from the preset output format. Alternatively, you can also convert your video files so it’s compatible for sharing on online social platforms such as YouTube and Facebook. The interface of the program is very user-friendly and you’ll be amazed with the extra built-in features. 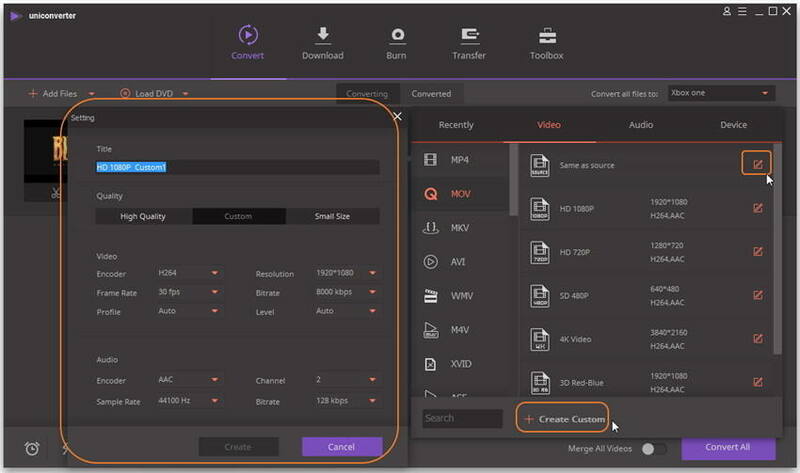 Once you’ve uploaded or drag-and-drop your videos into the program, you can easily select your choice of output format based on Device > Others and then followed by your model of phone. As shown by the screenshot, click the + Create Custom you’ll be able to notice that the video’s resolution, frame rate, bit rate as well as sample rate is slightly lower compared to other mobile phones.